Not all students are this lucky. For members of the Boys and Girls Club, North Alabama, learning ( and fun) doesn’t stop when the school day ends.At the STEM Center of Innovation, a new world of possibilities awaits them after school. 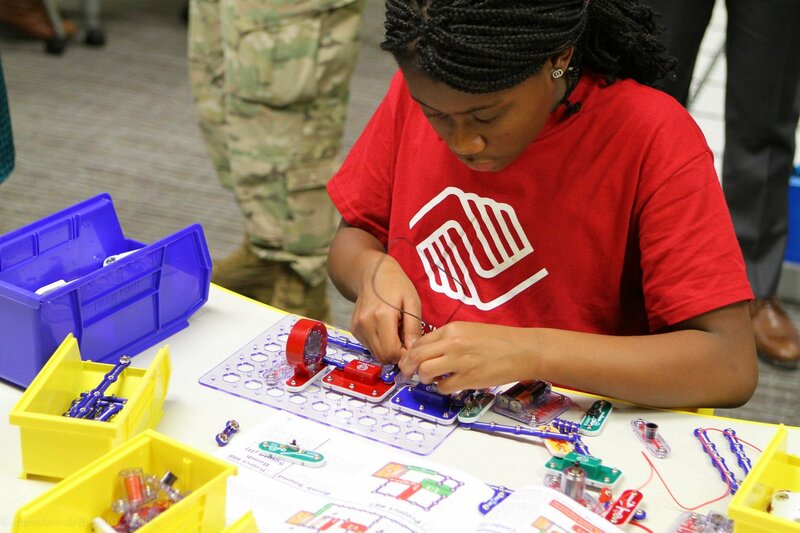 Boys and Girls Club, North Alabama runs six Centers of Innovation. Angela O’Neil, STEM Director for Boys and Girls Club of North Alabama runs six such such Centers of Innovation. “It’s a very hands-on space,” O’Neil says. “It really gives them unprecedented access to technology every day.” The center encourages students to develop teamwork and engineering skills, in a fun productive way. It is so engaging that, according to O’Neil “I basically have to shut the door and like kick them out. On the first day I was like, ‘Y’all, it’s 6:30. I got to go home!”. Recently she added a new tool to the place – a Ubi Interactive display. We sat down with her to learn more about how it is working out for her and her students. How did you hear about Ubi ? The Center is funded through a grant and when the grant writer was researching equipment to go into the STEM center, she came across the Ubi and loved it! What were you planning to accomplish with Ubi ? The Center of Innovation’s goal is to give children access and exposure to science and technology every day and the Ubi is a technical tool with the “wow factor” that really gets the students wanting to use the technology and learn how the technology works. We will be using it everyday as part of our hands on STEM activities. The Ubi is so much easier to use than some of the other products out there, there is multi touch capability and the sensor has really easy set up. It is not a big bulky piece of equipment which really was attractive to us. We did have a few minor issues with setup, but the support team was great and really helped a great deal. We have a projected display on a wall and Ubi is turning that wall interactive. We use lot of applications from the Internet including 3D modeling tools. We also use it to write and draw. We use the annotation quite a bit as well as the whiteboard. It allows students to draw what they are noticing write on the screen and share with classmates. The emitter does drift slightly (due to the mounting tape I think) so some improvement there would help as I have to recalibrate at least once a week. I would love support for TV screens as well. The Ubi is a wow factor that is really important in an after school program where they have been at school sitting behind a desk all day. The Ubi gives the students a tactile learning tool which is bigger and better than anything they have in their classrooms currently. Everyday I have students peeking in the center seeing what I am putting together and asking if we can use the “cool wall”. Its really been a great tool to bring technology into tangible use in the center.